We understand how valuable your boat is to you. So, it’s completely natural to be worried when transporting your boat to a distant place. If you have a boat that you need to ship or if you are looking to start a business that sells boats, EasyHaul can help you safely transport your boat, with assurance of a competitive boat transport cost. To help you make a more informed decision, this blogs provides a brief guide discussing the factors that come together to decide boat transport costs. Take a look. 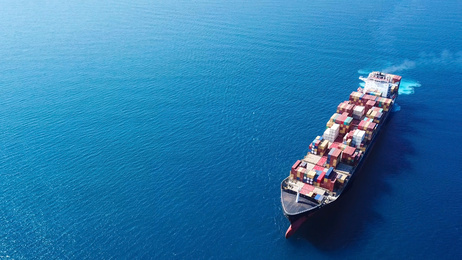 Shipping companies provide boat transport services using three primary means of transportation – by road, by ship, or by sailing the boat to the delivery location. The boat transport cost differs for each of the shipping means. Sailing a boat is a cost effective option for shipping a large-sized boat, when shipping across the ocean and within a short distance. Although boat transport by road is a popular choice among people, delivery to a distant place, especially to a location with poorly constructed roads to the port of departure, is better when carried out with a ship. In all, the distance to be covered and the type of vehicle to be used for shipping play a key role in determining the boat transport cost. The shipping method used by a boat transport service provider is another factor that determines the overall boat transport cost. Two widely used methods for shipping boats are container shipping and roll-on roll-off shipping. When you opt for container shipping, the cost depends on the number of boats that are loaded inside a container. There are full container services where a container will exclusively be used for your boat. The second type of container shipping is known as groupage or shared container service where multiple are loaded in a container for delivery. Groupage is an ideal option for people on a budget, but is not as secure as a full container service. In this shipping method, the boats are loaded on trailers that are then rolled on board the cargo ship for delivery. The trailers are rolled off when the ship reaches the delivery location. RoRo method is usually more affordable than container shipping. In addition to method, it is important to consider other factors such as the distance to be covered, the weight or volume of boats to be delivered, and the weather conditions in the departure location and along the route. Boat transport companies also consider the value of a boat when calculating its shipping cost, as it is relevant for insurance purposes. New boats have a high market value and that is why their shipping cost is higher than that of pre owned boats. Once you have a thorough understanding of the factors involved in calculating transport cost, it will put you in a better position to negotiate a price that suits your budget. To make sure your boat transport is safe and at best-in-the-industry costs, choose EasyHaul. With years of experience, we have acquired the expertise and contacts needed to ship any size and type of boat. We also ship other vehicles including cars and motorcycles. To address any concerns regarding our boat transport services, fill out our contact form or simply call +1 (360)-597-9320.